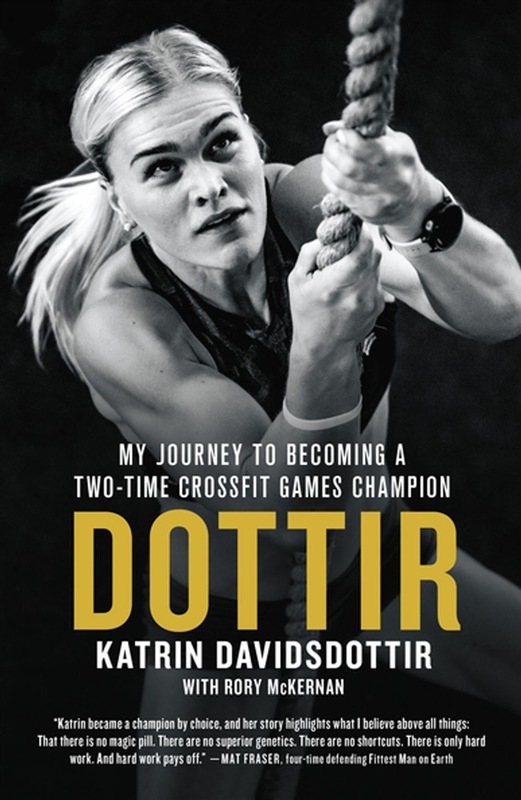 This is a memoir by two-time CrossFit Games champion, Katrin Davidsdottir. 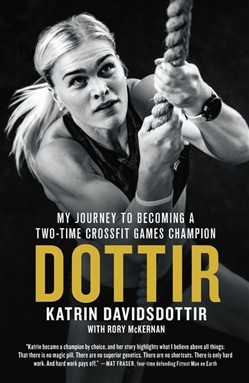 Dottir is two-time consecutive CrossFit Games Champion Katrin Davidsdottir's inspiring and poignant memoir. As one of only two women in history to have won the title of “Fittest Woman on Earth” twice, Davidsdottir knows all about the importance of mental and physical strength. She won the title in 2015, backing it up with a second win in 2016, after starting CrossFit in just 2011. A gymnast as a youth, Davidsdottir wanted to try new challenges and found a love of CrossFit. But it hasn't been a smooth rise to the top. In 2014, just one year before taking home the gold, she didn't qualify for the Games. She used that loss as motivation and fuel for training harder and smarter for the 2015 Games. She pushed herself and refocused her mental game. Her hard work and perseverance paid off with her return to the Games and subsequent victories in 2015 and 2016. In Dottir, Davidsdottir shares her journey with readers. She details her focus on training, goal setting, nutrition, and mental toughness. Acquista Dottir in Epub: dopo aver letto l’ebook Dottir di Katrin Davidsdottir ti invitiamo a lasciarci una Recensione qui sotto: sarà utile agli utenti che non abbiano ancora letto questo libro e che vogliano avere delle opinioni altrui. L’opinione su di un libro è molto soggettiva e per questo leggere eventuali recensioni negative non ci dovrà frenare dall’acquisto, anzi dovrà spingerci ad acquistare il libro in fretta per poter dire la nostra ed eventualmente smentire quanto commentato da altri, contribuendo ad arricchire più possibile i commenti e dare sempre più spunti di confronto al pubblico online.